Serving Ohio and neighboring states. Jeff’s recent health issues started the first week of September 2011. He rode the 100 mile Pelotonia in August, then went to the hospital the first week of September and spent seven days there with an aortic dissection. This could have been cause by his high blood pressure or by genetics. Save $10 for the August 11th Crew Soccer Foundation Black & Gold 5K by registering before July 28th. Members of Crew Soccer Nation - http://www.thecrew.com/fans/crewsoccernation save $5 by entering the word crew5k when asked for promotional code. Entry fee goes up $5 on July 28th. By Ted Thompson- It is a bucket list thing. And maybe that’s part of the problem. I have been running, with varying degrees of “success”, since my sophomore year in high school. In the hundreds of races in those thirty plus years I have had the good fortune to finish anywhere from second on back. I chased the lead police car through the streets of suburban Chicago in a 10k only to get picked off in the final mile. There have been great races with strong times- But I have never won. Now, after a strong winter of fast treadmill training the idea takes root. Win a race. Not Boston, or Atlanta or even a big race. I put together a plan. The Wild Duck Cafe, located at 1413 Villard St., 453 m from Hayward Field, is the largest, most modern, friendliest, most comfortable, best value, etc. Bar in Eugene. It is also the Social Hub for All Things TRACK & FIELD during the 2012 Trials! !- Just ask anyone who was there in 2008! Eight Events to be Contested Beginning with the 2013 OHSAA State Track & Field Tournament - The Ohio High School Athletic Association (OHSAA) Board of Directors made a historic decision today when it approved a recommendation to add eight wheelchair championship final events – four for boys and four for girls – to the OHSAA State Track and Field Tournament beginning in 2013. Wheelchair athletes in one boys division and one girls division will compete in the 100 meters, 400 meters, 800 meters and shot put, with participants wearing school uniforms and being awarded for individual honors, although they will not score points for their teams. Track and field is the first sport in which the OHSAA will include wheelchair athletes as part of a state tournament and makes Ohio one of approximately a dozen states to do so. (photo: West Liberty-Salem's Meghan Vogel finishing the 1600) A feel-good story from the state high-school track meet has elicited praise from around the country for an act of kindness by one competitor to another. 60 W. Castle Rd, Columbus, Ohio 43207 after this funeral. Friends may call from 2-4 and 6-8 p.m. Thursday, May 31st at Defenbauch-Wise-Schoedinger Funeral Home, 151 E. Main St, Circleville, OH 43113. Memorial contributions may be made to the: Jeff McGowan Memorial Scholarship Fund, c/o RUNOHIO, PO Box 238, Granville, OH 43023. It amazes me to see the number of races in this year’s May/June RUNOHIO Race Calendar. A number of communities have more thanone race on the same weekend. Hopefully, you can find a number of races to run. RUNOHIO as part of their supporting sponsorship of the 35th annual Columbus 10K will give away 350 RUNOHIO t-shirts to the first 350 athletes who pick up their race packets at the Columbus Running Company stores (t-shirt sizes and shirts will be available while supply last at each store). 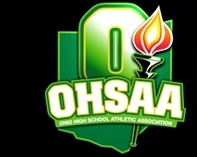 Proposed Competitive Balance Issue Using 'Athletic Counts' for Team Sports Fails Again By Slim Margin - COLUMBUS, Ohio - Thirteen of the 14 proposed Ohio High School Athletic Association Constitution and Bylaw revisions passed as voted upon by OHSAA member schools, Commissioner Daniel B. Ross, Ph.D., has announced. Changes were approved to three Constitution items and 10 Bylaw items. Mark your calendar to run the “Oldest Race in Town” the 35thannualColumbus 10K onSunday, June 10th. The race started at the Citizen Journal 10K. By Jessica Bischoff - Let me tell you about one of the best days of my life. The fact that I’ve been the bride at a wedding and given birth twice since this best day occurred over a decade ago it’s important I use that qualifier, one of, lest I come off as an insensitive jerk. But yes, this ‘best day’ was a turning point for me. It was the day of my first marathon. It has been said that, “You only go around once in life.” This month’s article will highlight three opportunities that came about and were not taken advantage of, thus negatively affecting the sport of track and field and the health of today’s youth.